Inbodens is proud to present our own custom coffee roasts from local producer Barb City Roasters! Our friend Jack Cress over at Barb City Roasters has created exclusive and custom roasts that you will only be able to find here at Inbodens. 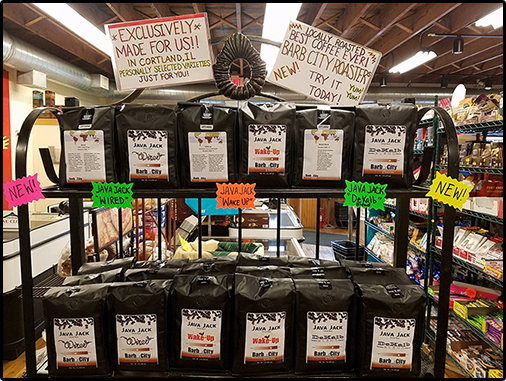 Mr. Cress roasts his coffee just a few miles down the road in Cortland, IL, and has created several new blends that will only be available here at Inboden’s. If you love coffee like we do, you won’t find fresher, more delicious coffee than these. Check back for sampling dates!